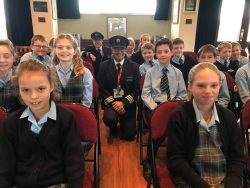 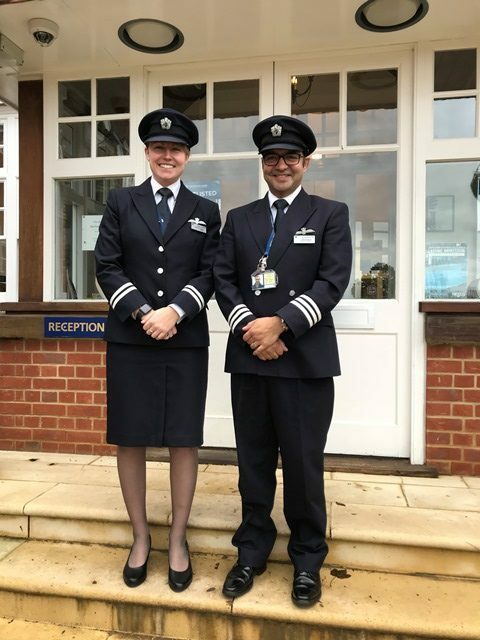 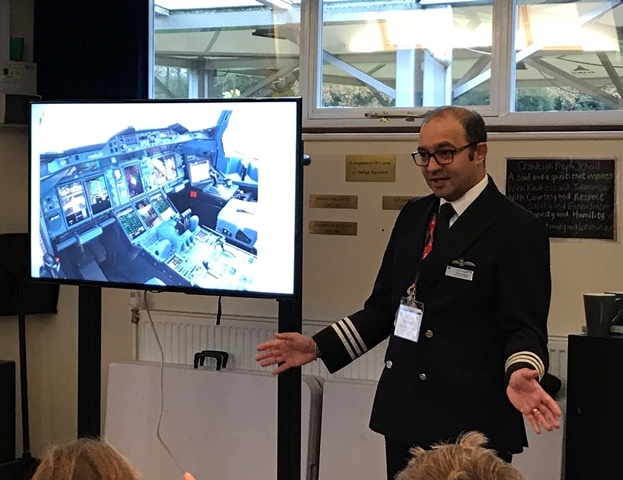 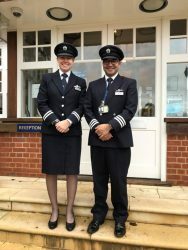 Today Form 3 welcomed British Airways pilots, Pete Nataraj and Hannah Vaughn. 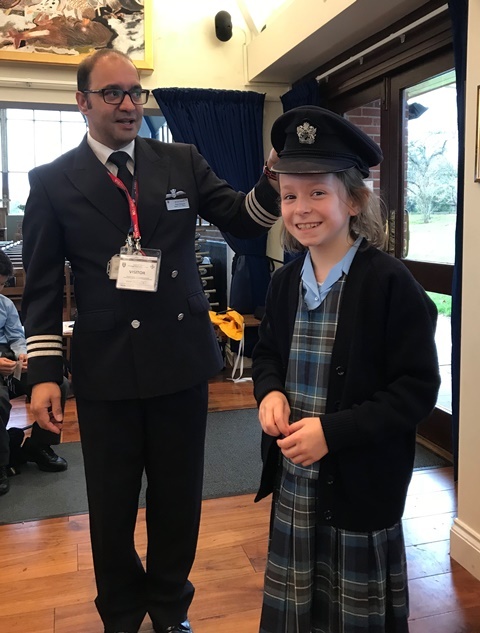 It was wonderful for the children to hear about their experience first hand and was a great supplement to their current study of ‘Airports and Aviation’ in Geography. 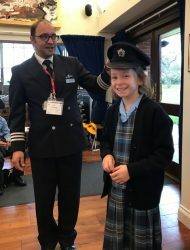 The students had a go at being a pilot, by testing their geographical knowledge, mathematical skills, meteorological predictions and Imogen M even tried out the pilot tannoy used to communicate with the passengers. There were lots of interesting questions raised by our pupils and hopefully we may have inspired a few future pilots in Form 3!